First things first, no Caps first line is complete without an elite puck handling Russian sniper named Alexander (who is also money in the bank on the shootout) and a Swede who can pass the puck. Stamkos is the pivot that glues the line together. All three players are lightning quick, aren't shy to hit, can razzle dazzle with the puck, and are gifted offensively with a birthright to score goals. Look for them on the nightly ESPN/TSN/Sportsnet highlight reel. These three are simply beasts! What happens when an American, a Finn, and a Russian skate on to the ice? OuO... Let's start with the veteran Koivu who plays a 2-way centre game and collects assists merely by winning the draw. Tarasenko's another elite speedy Russian winger who can score in his sleep. Bonino is solid at both ends of the ice and is always ready to win the face-off. Together, they provide a potent and fearless secondary offence. Every season, the Caps ice a Bear line which is made up of players who have come up from our system – either drafted by the organization and/or developed in Hershey. This season's iteration includes two Caps' draftees – Janmark and Rieder – and one developee in Pageau. All three players are versatile: they can chip in offensively, are responsible defensively, and can move up or down the line-up as needed. The Caps are rounded out by an industrious and hard-working group of Canadians. These guys grind away at their opponents, love to hit, go into the corners, and retrieve the puck in enemy territory. They can also deliver on the scoreboard. There hasn't been much positive to talk about in Philadelphia for the last three weeks. After three weeks of losing records,the Flyers finally showed signs of life. Their spot in the standings hasn't changed,they are still 9th in the Eastern Conference with a record of 29-15-2 for 60 points, 46 games played. They did have five starts this week winning all five. Gone are the gawdy shot totals, they were also outshot in two of the games, but we are talking 30-28 and 34-31. 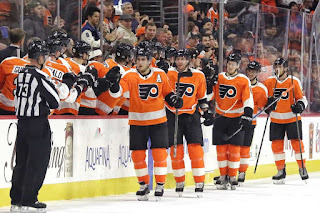 The Flyers did however score 4 + goals in four of the five games and finally the home fans had something to cheer about with three wins coming at home. Game 1- at Florida, a 2-1 win, the Flyers did not give up an even strength goal and Crawford stopped 29 of 30 shots by the Panthers. Game 2- Tampa Bay in Philadelphia, Flyers outshot the Lightning 37-21 and were rewarded with a 4-0 victory, Corey Crawford earning the Shut out,Conner McDavid with a goal and a helper. Game 3- Minnesota at Philadelphia, Flyers win a very close highly contested game 4-3, shots were in favor of the Flyers 32-28. Nice team effort. Flyers scored 4 in the 1st and hung on for the next two periods as the Wild made a game of it. Conner McDavid with a goal and two helpers. Game 4- Boston visits Philadelphia and out shoot the Flyers 34-31, the Flyers come away with a 5-2 victory, defensive 3rd line forward Antoine Roussel led the charge, with a goal, an assist,4 shots and 4 hits. Game 5- Philadelphia travels to La Belle Provence to play Montreal. If you remember the last time these two met the Flyers outshot Montreal 64-15 and barely escaped with a win. This time the shots were 26-21, but the Flyers managed to get a few past Quick and then Nilsson,Flyers win 5-2 with young Christian Dvorak leading the way with a goal and two assists. It was a positive week,with no change in positioning but a change in feeling, the Flyers got off the snide and maybe the bullseye is off their backs,lets just see how next week goes? The Flyers topline has slipped in recent weeks, McDavid is 3rd in scoring league wide with 60 points, Saad has dropped to 22nd with 47 points and Oshie who still leads the league in hits at 208, just past the halfway mark is sitting 48th with 42 points. The production is still among the better lines in the league,but a far cry from where they were a month ago. Flyers hope to keep the momentum going, but are still cautious after all it has been one decent week after three horrible weeks. Season 27 in the WCHL is underway and exactly one week old. 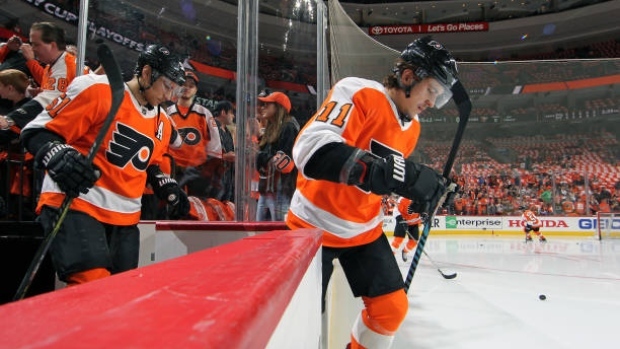 The Flyers coming off a solid preseason were hoping for a fast start out of the gate. The Flyers opened at home against Boston, it what can only be described as a forgettable experience for the home crowd. The Flyers were a no show as they gave up almost 40 shots and were shutout 4-0. The second game of the season on the road to Long Island the boys produced a better effort, but still lost in the shootout 4-3.
" This certainly wasn't the kind of effort I was looking for, giving up four goals a game will get you a nice long vacation come playoff time and we need a better effort from our top two lines and between the pipes." In game three the Flyers put together a really solid game in front of the hometowners, outshooting Columbus 41-25 and coming away with a 3-2 win. McDavid finally had his first point of the season, as the Flyers were a pedestrian 1-1-1. Game four was the first explosion of the offense and McDavid. On the road in Buffalo the Flyers, ran away with the game 7-1, thanks in large part to a six point night by McDavid including a hat trick. It is noteworthy to point out McDavid was named team Captain just prior to the start of the regular season.
" No question I have been a little snake bit to start the season, I was holding the stick a little to tight, I just felt a lot of pressure to perform at my best, I was not playing relaxed hockey, but Saad and Osh brought me around, this after all is a team game. When the group chooses you as their Captain, you just want to be what they expect." 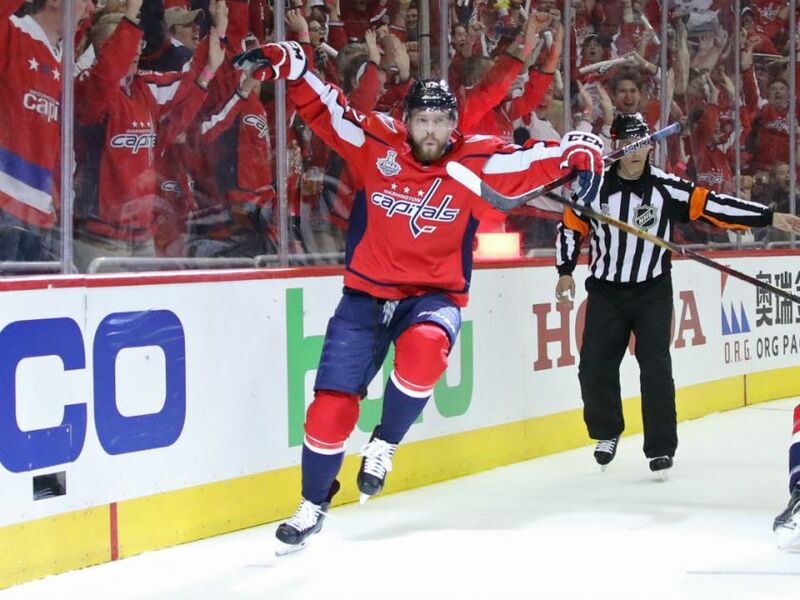 The Flyers performance in game four carried over into game 5, as the Flyers travelled to Washington. The Flyers had not won a game against the Caps in almost two seasons. In a barn burner, up and down at break neck kind of tilt, the Flyers managed to keep pace with the high flying Caps and come away with a 6-5, shootout victory. The Flyers outshot Washington 51-36.
" Corey getting chased after 4 goals on 12 shots, was not a good sign, he doesn't look like his old self, but the fact that Grubauer stepped up and made 23 of 24 saves, that was big, especially the manner in which we clawed back into the game and eventually won it." The Flyers won their third straight and third straight on the road, as they travelled to Tampa Bay for a match against the Lightning. Probably the most solid hockey game they have played to date. The Flyers won 4-2, in a game where shots were even and Crawford had a good outing saving 23 of 25 shots. At this point the Flyers were 4-1-1, with only 1 win coming at home. Unfortunately the Flyers returned home and despite out shooting Carolina 38-31, they dropped a 6-1 decision to the Canes. Once again Crawford was chased from the net in front of the home crowd. 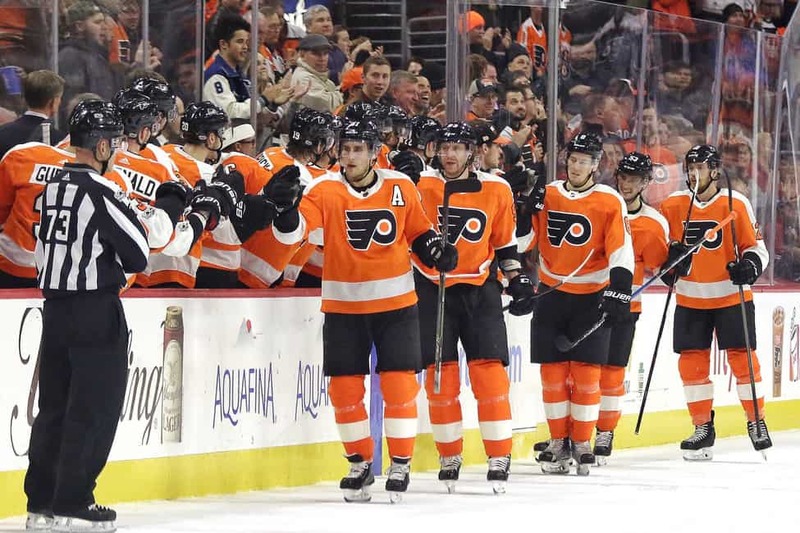 The end of the week saw the Flyers, with a record of 4-2-1, which is solid but those two losses were lob sided losses, making the record feel worse than it was. Goaltending has been an issue and it is an issue that need not exist. The Flyers look like a team that can produce offense, but they also look like a team that has not come close to its A game. Granted it's early and things can change.
" We will take it and we will work a little bit more on consistency, wild swings is not what we are looking for, we want to tighten this up and I believe we can." It started off by getting the New York Rangers in the first round so the deck was stacked against us or so we thought, "The Rangers organization as well as their General Manager Andrew Don along with other successful teams wrote the book on building a solid team from top to bottom over the last 25 seasons. Rangers winning in 4 of them (seasons 15,16,21,24) we thought as a team we wouldn't get out of the first round" said General Manager Mike McFarland. "Rangers play a very aggressive style of playoff hockey but they know when to put it on cruise control and when not to, they have some very good players on that team who know how to win" said McFarland. "Luckily we were able to defeat the Rangers in 6 very hard fought games, we would like to thank the whole organization including Andrew Don as we took alot of knowledge from them onto the next round of the WCHL Playoffs" said head coach Jeff Blashill. "Going into this round we thought that we would be in tough against a very well put together team anchored by the longtime General Manager Patrick Matthews, we have tons of respect for what he has done with his squad over the last few seasons." said McFarland. "We knew that they have underperformed when it came to the postseason and very much wanted to shake that monkey off the team's back, so we knew that they would play hard and fast. They have some of the best players in the world on their team. The only advantage we had, in my opinion, was maybe goaltending as they haven't had their starter as long as we have" said Blashill. "Pittsburgh is a very tough city to play in and with them having the home-ice advantage we would be in tough against them, in the 25 seasons if I'm not mistaken only won 1 WCHL title in the team's history which was in season 12" said the GM. After wrapping up the series against the Panthers left the Hurricane squad extremely happy and excited to play at home for the first time in a long time to which the team has home-ice advantage playing the Nashville Predators. "The Nashville Predators team hasn't had it easy either with playing the Winnipeg Jets in the first round defeating them in 6 games, then going onto the Colorado Avalanche besting the Avalanche squad who has won in seasons 13 and 14 in only 5 games. Biggest surprise so far this post season is when the Nashville team played the defending WCHL Champions beating them in only 4 games." said McFarland. 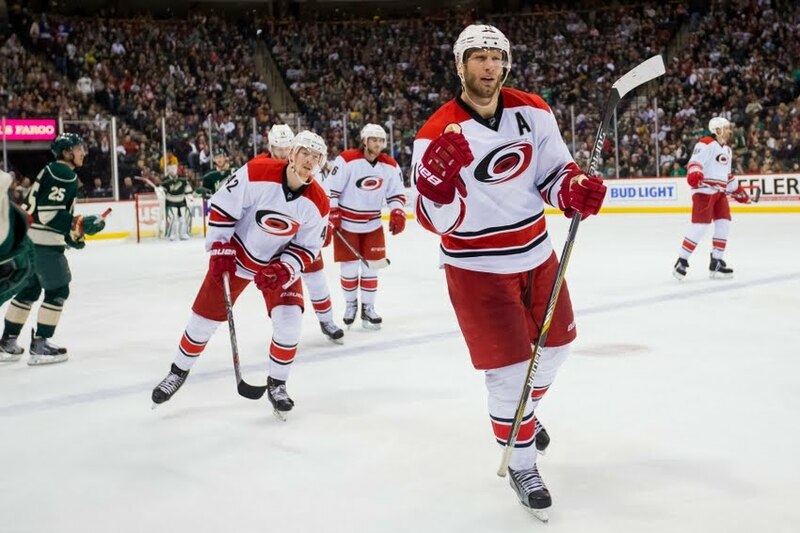 "Both teams are underdogs going into the post season and going into the finals I would think that we the Carolina Hurricanes are that underdog. But in closing its not how hard you get knocked down but how many times you get up. We are ready mentally and ready physically so bring on a exciting series. Nobody picked the two teams that are about to play for the Championship to make it. said Mike McFarland. I wanted to take this time to thank the teams and their General Managers in this quest to play for the Championship, so thank you New York Rangers (Andrew Don) and Pittsburgh Penguins (Patrick Matthews) followed by the Florida Panthers (Ryan Owen). 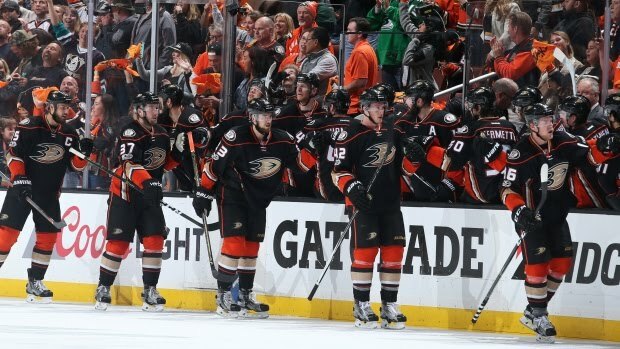 Anaheim may have found its missing piece. 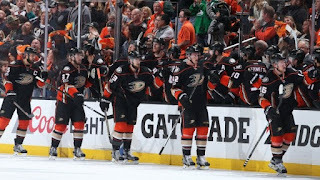 Trade deadline move by GM Dave Davis just may be the missing piece that Anaheim was looking for. for in Beau Bennett to get Zach Smith a good third line center with an all around skill set. lineup for the last two playoff seasons. last two playoff rosters did. We will just have to wait and see but we are happy that. Zach is now part of the Anaheim Lineup.